1. Classify two-dimensional figures based on the presence or absence of parallel or perpendicular lines, or the presence or absence of angles of a specified size. Recognize right triangles as a category, and identify right triangles. Read The Greedy Triangle by Marilyn Burns to your students. It provides a quick review of several geometric shapes and emphasizes, in a colorful way, the fact that shapes are all around us. Then, pass out rulers, pencils, scrap paper and scissors. Instruct, “Your job is to use your rulers, pencil and paper to draw a square with 4-inch sides and 4 right angles. Then cut out the square." “A right angle triangle has one 90-degree angle. An isosceles triangle has two sides and two angles that are equal." Now pass out the string that you have prepared for each student. Instruct students to tie one end of the string to the pencil. Ask, “What characteristics do we know about a circle?" A circle has no angles. Every point on the circle is equal distance from the center. The diameter is the measurement of a straight line going through the center of the circle from one side of the circle to the other side. The radius is measured from the center of the circle to the side, making it half the length of the diameter. Ask, “If we want to draw a circle with a 6-inch diameter. What would the radius be? (3 inches) Can you think of a way to draw a circle using the pencil with the string?" Allow for some brief brainstorming. Let students decide that they can hold the string down at the center point and swing or guide the pencil around to draw a complete circle. Work in pairs or individually to allow students time to draw 6-inch circles, holding the string down 3 inches from the pencil. (Radius is 3 inches). Cut out the circles. Then fold them in the middle twice. Open them up and what do you see? (Not triangles but four right angles). 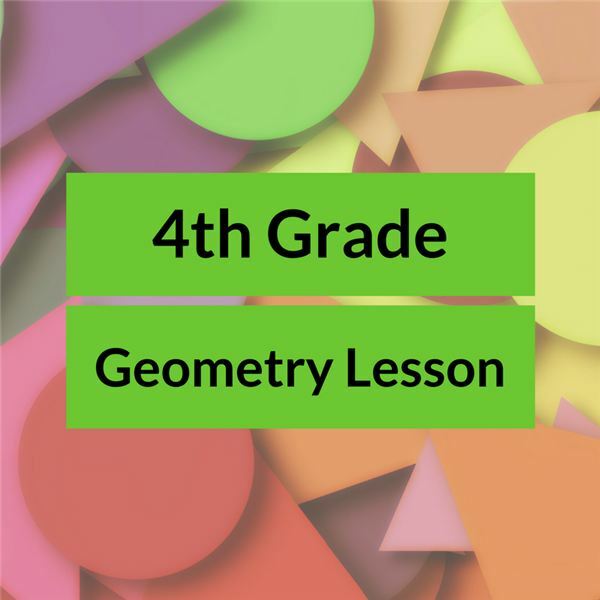 Assign specific dimensions for squares, rectangles, circles and triangles. Using the construction paper, the students will draw the shapes according to the assigned dimensions and create a picture, pattern or design by gluing the shapes on a blank sheet of construction paper. The creation must include the assigned shapes and sizes but the student may add more geometric shapes to enhance the project. Burns, Marilyn. The Greedy Triangle. Scholastic Paperbacks, 2008.